Our online auction to benefit JDRF is live now and closes on Saturday, August 19 at midnight! We have so many great items up for auction this year – from a helicopter tour of Chicago and Ferris wheel rides to tickets to some of the best shows in town! To view a full list of items, please click HERE. We only have $2,500 more to raise to meet our goal before our sixth annual JDRF Ride to Cure Diabetes in Loveland, Colorado on August 26. It's hard to believe that it's just two weeks away! We are so happy to share with you that we have raised over $60,000 to date for the past five years of cycling with JDRF. Much of this is from our annual fundraiser at Lagunitas Brewing Company, which we could not put on without your support! These funds have directly contributed to milestone advancements in medical technology, including the artificial pancreas, which is now available for purchase by some manufacturing companies. We are looking forward to the day when Bella can get one! It will help keep her healthier and make her diabetes easier to manage while continuing to search for a cure. We have an ever-growing "squad" of riders, and this year are so lucky to be riding with our immediate family, Bella's boyfriend, Jack, and our good friends the Osborne-O'Hagan's and Hart's. Having friends and family to ride with makes the journey that much more fun and supported! But it does mean that we need to raise even more money. Also, this year, we have upped the ante and are riding in Loveland, Colorado. While this will be an even more challenging course than we are used to, we know the scenery will make it all worth it! Please consider contributing to our JDRF Ride fund and helping not only get to the finish line of the race, but to the finish line of finding a cure for type one diabetes. We are constantly thinking about ways to raise more money and be able to support Bella and millions of other type one diabetics worldwide. But we can't do it without you! You can also donate directly to our Ride to Cure Diabetes page HERE. Every little bit counts! If you have already contributed to our page, thank you from the bottom of our hearts! Former JOURNEY band member, singer/songwriter Robert Fleischman (Wheel in the Sky, Anytime, Winds of March) debuted a series of his prints and paintings at Hilton | Asmus this month. 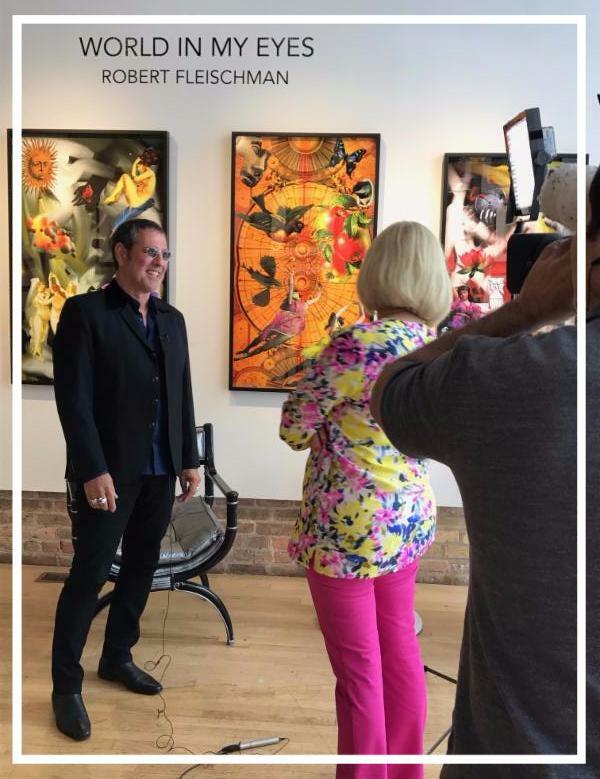 Fleischman recently met with Janet Davies of ABC News to talk about his exhibition "WORLD IN MY EYES" and the inspiration behind it. Tune in today to ABC 7 Eyewitness News (Friday, August 11 to at 4:00 pm) to watch the full interview. Janet Davies segment usually goes on about 4:15. It will also rerun at 7:00 pm on WCIU. "WORLD IN MY EYES" will be on display thru mid August. Join us in celebration of feminine power where guests will be served up a double scoop of sensitive, funny, engaging lady power, along with music, wine and appetizers. 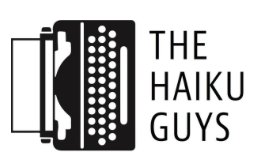 Challenge the haiku artists to write you a custom haiku on their old-fashioned typewriters! 1421 or tammy_iwa@yahoo.com. Tickets will be sold at the door. Cash or check only. 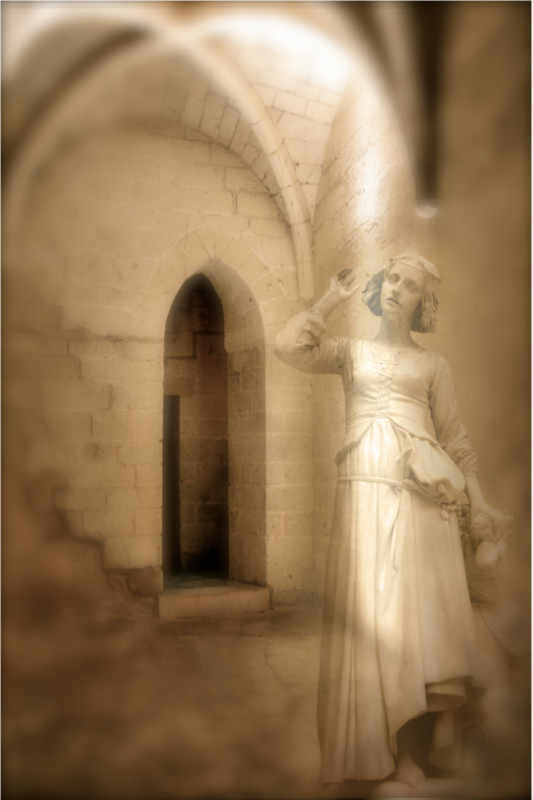 "Searching for Jehanne: The Joan of Arc Project"
Loire Valley, she visited a 12th century chateau that was once the temporary home of Joan of Arc. Captivated by the legend of the saint, Aurinko repeatedly returned to photograph the places where Joan of Arc once lived, prayed, and fought throughout her brief life. Aurinko employs layered images to explore the iconographic nature of this revered saint through popular culture, literature, feminism, and theology. Three of Susan Aurinko's photographs from this exhibition are currently on display at Hilton Asmus Contemporary thru October. Julian Wasser "Marcel Duchamp playing Chess with Eve Babitz, 1963"
Maurizio Sapia, Tan Taspolatoglu, Julian Wasser....and more! EXPO CHICAGO, The International Exposition of Modern & Contemporary Art, in partnership with the City of Chicago’s Department of Cultural Affairs and Special Events (DCASE) announces the second annual OVERRIDE | A Billboard Project to align with the sixth exposition (September 13 – 17, 2017). Building upon the City of Chicago’s longstanding commitment to public art, OVERRIDE allows EXPO CHICAGO to expand one of its key initiatives to showcase works by leading international artists beyond the exposition floor at Navy Pier. In this significant citywide public art initiative, OVERRIDE will feature the work of 12 artists represented by major local, national and international galleries, exhibiting at EXPO CHICAGO, throughout Chicago’s City Digital Network (CDN) of citywide billboards. Spanning works from 1966 to the present, the 2017 program, curated by exposition directors, will launch on August 28 and run through September 17, providing artists from around the world an innovative opportunity to push the boundaries of how visual culture is disseminated in our increasingly image-based environment. Each of the selected artists engage with the digital network in a dynamic way—from existing projects that seamlessly extend toward a conceptual continuation of their current practice, to new works created specifically for this expansive context. OVERRIDE features national and international galleries from Chicago, Dallas, Los Angeles, New York, Hong Kong, Paris, Seoul and Tokyo. As part of a newly commissioned site-specific series, Glasgow-based artist David Shrigley’s (Anton Kern Gallery) NEWS bulletins will be displayed exclusively on the billboard located at 515 W. Congress Pkwy. Running continuously on this single screen, the piece boldly declares headlines of either absurd fake news or mundane everyday occurrences. The Department of Cultural Affairs and Special Events (DCASE) is dedicated to enriching Chicago’s artistic vitality and cultural vibrancy. This includes fostering the development of Chicago’s non-profit arts sector, independent working artists and for-profit arts businesses; providing a framework to guide the City’s future cultural and economic growth, via the 2012 Chicago Cultural Plan; marketing the City’s cultural assets to a worldwide audience; and presenting high-quality, free and affordable cultural programs for residents and visitors. For more information, visit cityofchicago.org/dcase. For information about the Year of Public Art including the Public Art Festival (October 2017), visit cityofchicago.org/yopa—and follow #2017isYOPA on social media. EXPO CHICAGO/2017, The International Exposition of Contemporary and Modern Art, is presented by Art Expositions, LLC at Navy Pier’s Festival Hall, hosting more than 135 leading International exhibitors presented alongside one of the highest quality platforms for global contemporary art and culture. Now in its sixth year as a leading international art fair, EXPO CHICAGO (September 13–17, 2017) offers diverse programming including /Dialogues, IN/SITU, IN/SITU Outside, EXPO VIDEO, the Curatorial Forum, the Art Critics Forum, Special Exhibitions, EXPO Sound and OVERRIDE | A Billboard Project. In addition, EXPO CHICAGO continues to publish THE SEEN, Chicago's International Journal of Contemporary & Modern Art. Under the leadership of President and Director Tony Karman, EXPO CHICAGO draws upon the city’s rich history as a vibrant international cultural destination, while highlighting the region’s contemporary arts community and inspiring its collector base. In 2017, EXPO CHICAGO and the Chicago Architecture Biennial (September 16–January 7, 2018) will align, establishing the city as a preeminent destination for global contemporary art and architecture, intersecting across a wide variety of programs including panels, international residencies, exhibitions and citywide events. In addition, EXPO CHICAGO partners with the Palais de Tokyo in Paris for its first U.S. off-site exhibition with the Institut français to kick off EXPO ART WEEK (public opening Tuesday, September 12) at The Roundhouse at the DuSable Museum of African American History. Vernissage, the opening night preview benefiting the Museum of Contemporary Art Chicago, takes place Wednesday, Sept 13, 6–9 p.m. General Admission to the exposition is Thursday, Sept. 14–Sunday, Sept. 17 (for hours please visit expochicago.com). Tickets to the exposition will go on sale in June 2017. Northern Trust is the Presenting Sponsor of EXPO CHICAGO. For more information about EXPO CHICAGO and EXPO ART WEEK (Monday, Sept. 11–Sunday, Sept. 17), visit expochicago.com.